Closing out the month with a collection of photos I've been taking. Color abounds! All of the May flowers have continued blooming in June, while others are made their debut this month. Please contact me at 5acresandadream @ mail dot com and tell me where to send it! Thank you to everyone who entered via my blog or Facebook. And thank you to everyone who already has or plans to purchase a copy. If it isn't in your budget to order one at present, ask your local library to do it! 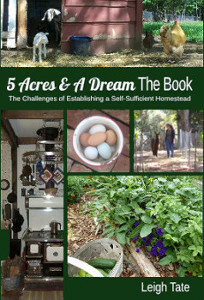 Your purchases support my blog and help Dan and I continue to build our homestead. Lastly thank you for the good reviews! If you read the book, please consider leaving the book a review! Honest reader reviews really help, and I'd appreciate your helping me. I don't know if anyone else has been looking forward to this announcement, but I certainly have been. 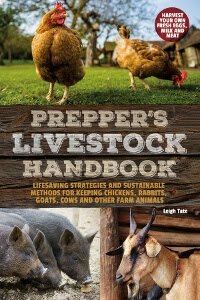 My Prepper's Livestock Handbook is now available! It's part of Ulysses Press's Prepper series, which includes a lot of truly excellent books. I'm proud to be part of that group. Why a non-review? Well, because I can't exactly review my own book, and I don't want to give you a sales pitch. I do want to give you an idea of what you can expect to find in it, and to host a giveaway! Here's the official blurb from my Kikobian.com website. You will learn: which livestock is best suited to preparedness, options for shelter and fencing, how to establish and maintain good pasture, how to grow and store hay, strategies for feeding your farm animals without going to the feed store, options for breeding, birthing, veterinary care, and sustainable dairying. Also pitfalls to avoid and how to keep things manageable. And if the grid ever fails, you will know how to preserve and store eggs, dairy foods, and meat without electricity. The Preppers Livestock Handbook focuses on simple, low-tech, off-grid methods for managing your land and your livestock. 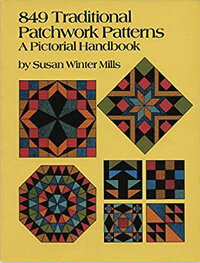 It is an excellent addition to any prepper, homestead, or self-reliance library. Resources are listed by chapter, so you can know where to find the things I talk about. Giveaway is over. Congratulations to the winner! Sweet potatoes grow well for us, so every year I plant as many as I can. I've found that two beds-worth will provide enough sweet potatoes for a year's supply for us and the goats. For our first several years here I experimented with different varieties. We've tried Porto Rico, Beauregard, and Vardaman. I have to say that we've liked the Vardaman the best. They are good keepers with excellent flavor, and have pretty purple foliage. Plus they are a bush type, so they are space savers in the garden. For the last couple of years, however, I haven't been able to produce many slips. That has meant having to ration the harvest for special occasion meals. I missed having the larger harvest, and especially being able to feed them to the goats. So this year I decided not to count on making my own slips. I decided to order some as well. Sow True Seed featured an offering of several heirloom varieties this year, so I decided to try one called Nancy Hall. Apparently this variety was very popular in the early 1900s, but after being replaced by commercial varieties became quite rare. I liked the write-up, so I ordered 36 slips. My Vardamans decided to put out more sprouts than they ever have! So I should have plenty of those too. All my slips have been planted and are being diligently watered to give them a good start. If they get adequate rain this summer and the deer don't eat the vines, I should hopefully have a bountiful harvest and sweet potatoes galore! Thanks to subtropical storm Alberto, everything! Both wanted and unwanted. It was time to get weeding! Before: not a pretty sight, is it? My rain gauge froze and broke last winter, so I don't know how much rain we got, but it went on for days and days and flooded all the low places on the property. It also left the soil we'd prepared for planting very, very muddy and sink-to-your-ankles soft. Earlier this week I was finally able to get back into the garden and start weeding. With the ground soft and the weeds young and tender, it was an easy job. After: one section of the garden done and ready for mulch. I'm almost ashamed to say that in my very earliest days of gardening I threw all of the weeds away. Weeds were bad and bad things were gotten rid of. Eventually I figured out to add them to the compost pile. Then I read Sepp Holzer's Permaculture and was surprised to find out that he just tossed the weeds back onto the ground. Having goats changed my perception of weeds as well, because some of them are obviously great delicacies! So now when I weed the garden, I do different things with different weeds. Anything that the goats will like is put in a basket and then dried to toss onto the hay pile. These tidbits add variety and interest to their hay plus extra vitamins and minerals. Anything that hasn't gone to seed I leave in the garden to die and decompose back into the soil. Every plant takes up nutrients as it grows and when it's removed from the garden those nutrients are removed as well. I'd rather keep them in my garden. Anything that's gone to seed is piled in the chicken yard. They love to scratch through the pile to find fresh greens, bugs, and seeds to snack on. The exceptions are things like horse nettle and nutsedge. The goats can't eat them and their painful little thorns put them on my get-rid-of list. Anything that is edible, medicinal, or that acts as a ground cover gets to stay: marigolds, chicory, clover, violets, lambs quarter, heartsease, etc. I also have learned to leave one or two wild amaranth plants. Their young leaves and seeds are edible, but also, I've observed that cucumber beetles really like them! Amaranth grows abundantly, so I pull most of them, but if I leave one or two they serve as trap plants to attract the beetles away from things I don't want them to eat! Also, volunteers get to stay! Volunteer cucumber plant. Already blooming! Once in awhile something is transplant-worthy. I planted 4 o'clocks a number of years ago. I don't even remember why now. They are an attractive plant with beautiful flowers that bloom all summer long. They grow thickly, about 3-feet tall, which means they are kinda in the way in my kitchen and canning garden. Hopefully this one will transplant, although June is not a good month for that because of long hot, dry days ahead. So what did I plant in this section of the garden this year? I replanted spaces in the rows where the seed didn't germinate. Mulching is next. I start with paper seed and feed bags and cardboard in between rows and then cover everything with wood chips, dried leaves, or straw. Then I've got the rest of the garden to do. I've definitely got my work cut out for me.